Topaz has been working as a Chanteuse/Torch Singer/Actor/Comedian in Supper Clubs, Piano Bars, Musical/Straight Theater and Private Parties for many years. In 2007, she performed the female lead in a staged reading of Funnylingus, a two-person, one-act “Absurdist” play, for the African American Playwrights Exchange at the GLBT Center in New York City. She performed as Edith Piaf, in Legendary Ladies, a three-woman show, at the Greenwich Street Theater, Rose’s Turn, La Place on the Park, and on Public Access Television, all in New York City...and also did a weekly solo cabaret act featuring the works of Edith Piaf and Marlene Dietrich, at Cafe Elysee in NYC that had a two year run. 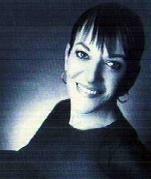 Topaz studied Opera at The Juilliard School of Music, Cabaret performance with Julie Wilson and Magaret Whiting, and Improvisation with Meredith Monk, and was a Cabaret Fellow at the Eugene O’Neill Cabaret Symposium in 1999. She has also performed at some of the most prestigious cabaret rooms in New York, including Judy’s Cabaret, Rose’s Turn, Eighty Eight’s, La Place on the Park, Indigo Blues, Rodney Dangerfield’s, the Village Gate, Company Restaurant, and The Granit Hotel. She played Shirley at the Third Annual Showcase of Staged Readings of The Players Creative Workshops in 2008 and is excited to be a part of this dynamic group!